In a classic Bildungsroman, a young protagonist goes on a journey—physical, spiritual, often both—in which the experiences along the way bring him or her into adulthood. This Life or the Next certainly qualifies as such, but in this novel that journey of maturation is, to say the least, more than a little extreme. 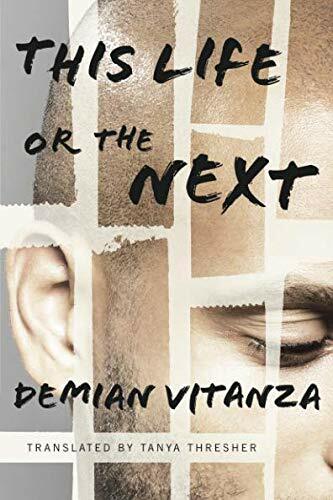 Demian Vitanza is a Norwegian novelist and playwright. He also conducts writing workshops. One of these took place in a Norwegian prison, where one of the inmates had a story to tell—about his time as a jihadist fighter in Syria. This Life or the Next is based on that man’s story. This likely means two things: First, the “source” wants to protect the people he talks about; and second, the author has omitted a few characters and events and condensed others in order to move the narrative along. Fair enough. But the reader nevertheless remains aware that most of what happens in the novel probably also happened in reality. The narrator is Tariq, a Norwegian man whose family is of Pakistani origin. At the age of 20, after several years of partying hard and living a wild life, Tariq decides to devote himself to Islam. By doing so, he is seeking to fill the emptiness that has grown inside of him. He wants, as he puts it, “to take control of my own soul.” He immerses himself in the Koran, starts praying five times a day, grows a long beard, and stops using drugs and alcohol. At the mosques he attends, visiting imams speak of the rebels fighting in Syria, defending Muslims against the predations of the Syrian army. People he knows start disappearing, heading to Syria and the promise of potential martyrdom in the name of Allah. Tariq listens and begins to have a crisis of faith. He finds Norway too comfortable, too removed from the spiritual challenges Islam requires of its faithful. Finally his sense of duty as a Muslim leads him to travel to Syria to join the rebel forces. Tariq is helped across the Turkish-Syrian border by Abu Saad, who drives an ambulance to and from areas where there is fighting, delivering supplies, removing the wounded. Tariq quickly realizes that the Syrians view him as an outsider. A Muslim, yes, but not a countryman. And the rebel groups are very diverse. Some are secular, some religious. Some welcome foreigners. Others do not. And he hesitates. He cannot decide which rebel group he should join. He wants a religious group, not a secular one. But he is put off by ISIS, which is rigid and violent, even toward other Muslims. So, hesitant and with nowhere else to go, Tariq decides to help Abu Saad in his ambulance for a while. Thus Tariq becomes an observer of the strange reality of the Syrian war, with barrel bombs being dropped in the distance as rebels talk with friends and relatives back home at an internet café, searching for bandwidth for their cell phones, using those phones to take photos of themselves in full combat gear and posting it on the web, hiding from snipers, seeing the massive destruction of life and property in one town as life goes on almost normally in the next. The tone of the novel is serious, and the language that of a modern young man. Everything is told from Tariq’s point of view, and he sticks to plain description. He is thoughtful but not overly so, and the story unfolds straightforwardly, at times almost matter-of-factly. There is a sort of emotional distance, reflective of the fact that this is being told after the fact, by a young man who has seen a lot of disturbing things and is still trying to take stock of them. Author Vitanza makes no attempt at literary flourishes. There are no grand insights, omniscient descriptions, or philosophical sidebars with existential analysis. Everything happens in the open, on the surface. The chapters are very short, each dealing mainly with one event or concern. The style is not literary, but this is deceptive. Moral currents are flowing underneath. Tariq slowly starts making a lot of personal choices. He is growing, maturing. There is a lot of hope, but also a lot of disappointment. If anything, the confusion in Syria mirrors the confusion in Tariq’s mind over his purpose in life. Life is a struggle, but what are the right choices? He asks this of himself again and again. How does one become a moral person? Like many young people, Tariq is attracted to the promise of religion, it’s message of order and acceptance. But the challenge of how to deal with life isn’t automatically solved by faith. And over the course of the novel, his faith evolves. Slowly greater awareness of himself and the world builds within him, and, while he starts to make more mature decisions, some of which the war forces upon him. Tariq is a sympathetic, conflicted figure in a tumultuous place. His struggle, his jihad, to find himself is what this book is about. A young man trying to decide on the right path for himself in life. As such, this is a Bildungsroman for our troubled times, set in a place where nothing is safe or certain.